Melting snow and heavy rains, faulty appliances, burst pipes, and foundation cracks all have one disastrous thing in common: the ability for water to flood your home. Whatever the reason may be, the bottom line is unwanted water can lead to damage to your property and possessions, not to mention headaches involved with restoring your home back to pre-loss conditions. The average amount of damages from flooding in the U.S. is $8.3 billion annually, according to statistics reported by the Insurance Institute for Business and Home Safety. Flood prevention measures are options to help safeguard your home, but so often flooding can occur with little to no warning or time allowance to stop the water from entering your property. 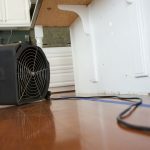 Making matters even worse, when water damage is caused by a natural disaster, flood coverage isn’t typically provided through your normal homeowners’ insurance policy. Instead, you may need to opt into the federal National Flood Insurance Program (NFIP), which is available through private insurance companies and independent agents. 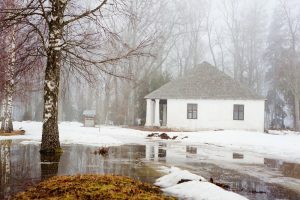 Still natural floods are among the nation’s most common and costly natural disasters, with many homeowners experiencing incoming waters even outside of high risk flood zones, according to FEMA.org. Whether your insurance covers the type of water damage to occur in your home, minimizing the aftermath will save you in stress at the very least. 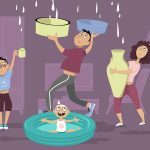 If water is on the rise, follow these dos and don’ts before professional restoration service providers can respond and get your home–and life!–back to normal. Turn off water to the flood source, should it be an appliance, pipe, or something similar that resides within your home. Use electronic appliances in wet areas. For example, when using a wet vac, be sure the cord is free of any knicks or impairments and only plug into an outlet that is clear of water and water damage. When using such appliances, be sure to have on foot protection, such as rubber-soled boots. Allow pooled water to drain from ceiling tiles by placing buckets or containers beneath them and then punching small holes in the tiles to allow the water to flow out. Let wet items remain in the affected area any longer than needed. Remove valuable items, upholstered furniture and decor, electronics, clothing, books, leather goods, and other items that could be a total loss if exposed to water. Remove as much excess water as possible with buckets, squeegees, clean white towels, or wet vacs when safe. Leave color-treated items, such as upholstery and clothing, on damp carpet or other fabric surfaces, which can cause bleeding and staining. Also, use white or very lightly colored towels when blotting water from these types of surfaces. Prop-up items off of floors whenever possible to help dry all areas as quickly and efficiently as possible. Open windows in the winter to help remove excess moisture from the air, and turn on the air-conditioner and fans (when safe) in the summer. Risk your or your family’s safety to save a material possession. If you’re unsure about harm that might be associated with entering a flooded area, it’s best to wait for professional help to arrive, or at the very least, instructed guidance from a professional when a delay may exist. Our skilled restoration professionals are standing by to help, but until we can get there, any steps you can take in the meantime may reduce damage and the costs and time associated with bringing back normalcy to your everyday life.